Witchery is a Swedish thrash metal band, formed by former members of Satanic Slaughter in 1997. To date, the band has released five full length studio albums and an EP. 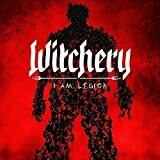 "I Am Legion" is the 7th full-length studio album by Swedish heavy metal act Witchery. The album was released through Century Media Records in November 2017. That´s almost exactly one year after the release of "In His Infernal Majesty's Service (2016)", and after a couple of years of relative inactivity before that, the band have indeed said in interviews that they would pick up the pace and record and tour more the next couple of years. With "I Am Legion" they keep that promise. "I Am Legion" was recorded by the same five-piece lineup who recorded "In His Infernal Majesty's Service (2016)", so no changes there. Stylistically "I Am Legion" is slightly different from it´s predecessor though, and a little less formulaic than what we´re used to from Witchery. 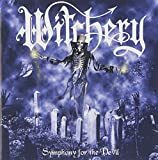 Witchery were always a band who were hard to define as their heavy metal basis sound features quite a few influences from genres like black metal, thrash metal, speed metal, and a little death metal too. 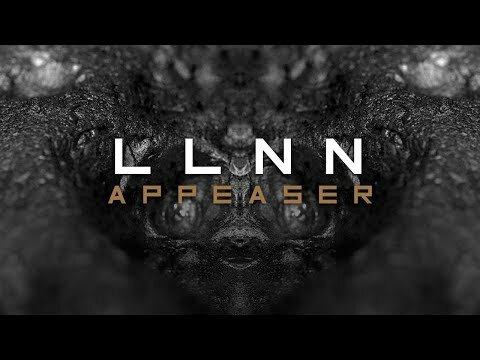 Some of the previous releases featured an almost traditional heavy metal sound (although in the harder end of the spectrum) but with blackened snarling vocals, but on "I Am Legion" the scale tips a bit more to the extreme metal side of the band´s sound. The structure of the songs and the songwriting are also a bit less anthemic and a little more loose and intentionally chaotic, which is both a strength and a weakness. It´s a strength because it´s always great to hear when an established act with a signature sound try something different. It shows a band which haven´t stagnated and who are still hungry to prove themselves and who still have the boldness to evolve. 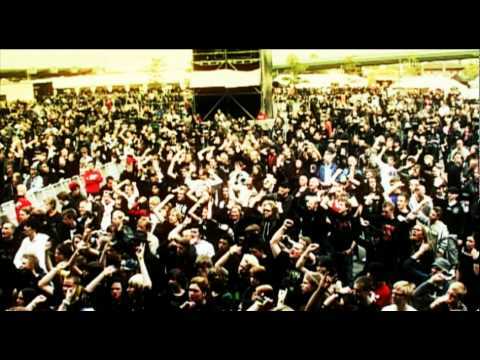 I applaud that...but it´s also a weakness in terms of "I Am Legion", because the infectiously catchy sing-along (well...shout-along) choruses from the previous releases are few and far between on this release, and those choruses were always a big part of what made Witchery such a charming act. I´ll put on the positive glasses here though, as I think Witchery make their less formulaic and more adventurous approach to songwriting work really well, and it´s not like there aren´t any catchy moments on the album. In fact there are plenty of memorable tracks and catchy moments featured on the album, so it´s not a major change of the band´s sound, but more an adjustment towards a more creative songwriting direction. Witchery are as always a very well playing band and lead vocalist Angus Norder shows again, that the band made the right decision to add him to the lineup on the predecessor. 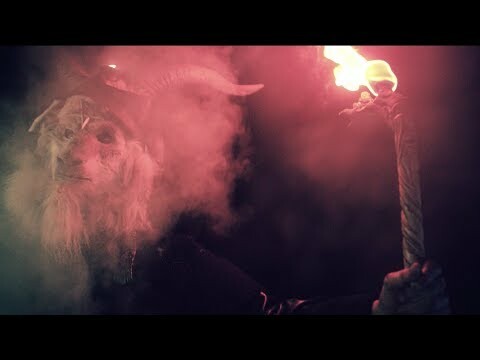 "I Am Legion" features a dark and fairly organic sounding production, which suits the new musical direction perfectly, and upon conclusion "I Am Legion" is yet another high quality release by Witchery. A 4 star (80%) rating is deserved. "Dead, Hot and Ready" is the 2nd full-length studio album by Swedish metal act Witchery. The album was released through Necropolis Records in October 1999. 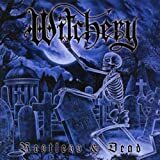 It was released almost exactly a year after the debut full-length studio album "Restless & Dead (1998)", but the guys in the band were pretty busy in those days, and had also had time to release the "Witchburner" EP in March 1999. There´s been no changes in the lineup since the EP (or since the debut album for that matter), so the five-piece of Toxine (Vocals), Mique (Drums), Richard Corpse (lead guitars), Patrik Jensen (rhythm guitars), and Sharlee D'Angelo (Bass, lead guitars), is still intact. And this despite the fact, that several of the members were also busy with other projects including acts like Mercyful Fate, Arch Enemy, and The Haunted. Stylistically "Dead, Hot and Ready" pretty much continues the energetic heavy/speed/thrash metal style with black metal type vocals of the previous releases. 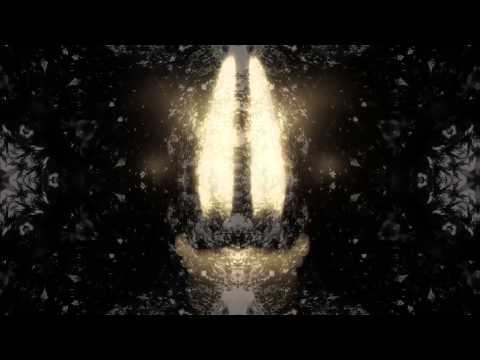 It´s powerful and very well played by the seasoned musicians involved. 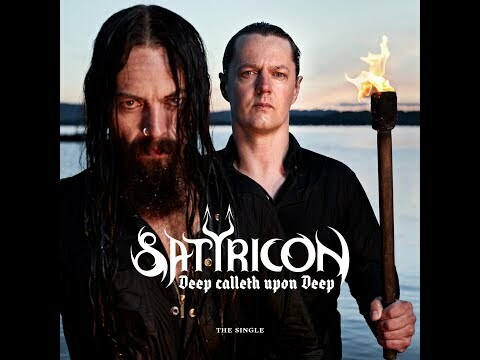 Had it not been for the raspy black metal croaks, this would probably have been labelled traditional heavy metal, but the vocals provide the music with an extreme metal edge. The whole thing reeks appreciation for traditional heavy metal values, which songtitles like "The Guillotine", "Full Moon", and "Call of the Coven" also imply. While it is undeniably retro it is delivered with the right amount of conviction and passion, and you´re never in doubt that these guys mean business. The material on the 10 track, 33:33 minutes long album are generally very well written. It´s predominantly regular vers/chorus structured tracks we´re presented with, but Witchery manage to keep them interesting with great hooks, blistering guitar solos, pounding aggressive rhythms, and a dark occult atmosphere (delivered with a gleam in the eye). The powerful, clear, and very well sounding production is another great asset, and "Dead, Hot and Ready" is on all parameters a high quality release and a great sophomore album by Witchery. A 4 star (80%) rating is deserved. 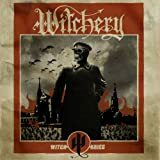 "Witchburner" is an EP release by Swedish metal act Witchery. The EP was released through Necropolis Records in March 1999. 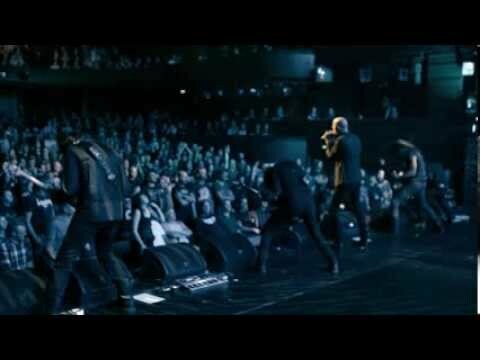 It bridges the gap between the debut full-length studio album "Restless & Dead (1998)" and the band´s second full-length studio album "Dead, Hot and Ready (1999)". There have been no changes in the lineup since the debut album, so the five-piece of Toxine (Vocals), Mique (Drums), Richard Corpse (lead guitars), Patrik Jensen (rhythm guitars), and Sharlee D'Angelo (Bass, lead guitars), is still intact. 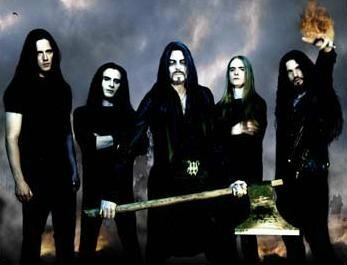 Some of the members are rather prolific and are also featured in acts like Mercyful Fate, Arch Enemy, and The Haunted. "Witchburner" is a 7 track, 25:21 minutes long EP, featuring 4 cover tracks and 3 originals. The covers are "Fast as a Shark" by Accept, "I Wanna Be Somebody" by W.A.S.P., "Riding on the Wind" by Judas Priest, and "Neon Knights" by Black Sabbath. Pretty good material choices considering Witchery´s usual traditional oriented heavy/speed/thrash metal style. Toxine is of course a more extreme type vocalist than the guys who sang on the originals, but he gives it his all, and the raw vocals generally work really well on the covers. I think Toxine´s voice and delivery work the best on "Fast as a Shark" and "I Wanna Be Somebody", because both Udo Dirkschneider (Accept) and Blackie Lawless (W.A.S.P.) are rather extreme vocalists in their own right, while especially "Neon Knights" doesn´t work as well, because Dio´s vocal style is more melodic, and Toxine isn´t fully able to do Dio´s vocal lines justice with his hoarse croak. The three original tracks are of a good quality and pretty much continue the music style of the debut album. The musicianship is on a high level, and the material is well produced too, so "Witchburner" is overall a great quality EP release by Witchery. There´s both enough quantity and quality to justify a 3.5 star (70%) rating. "Restless & Dead" is the debut full-length studio album by Swedish metal act Witchery. The album was released through Necropolis Records in October 1998. 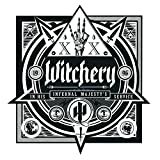 Witchery was formed in 1997 by four former members of Satanic Slaughter and bassist Sharlee D'Angelo (Mercyful Fate, Arch Enemy). The music on "Restless & Dead" is heavy metal with elements of death, black, and thrash metal, making it a bit hard to tag correctly. Maybe an extreme form of traditional heavy metal is the most valid description. 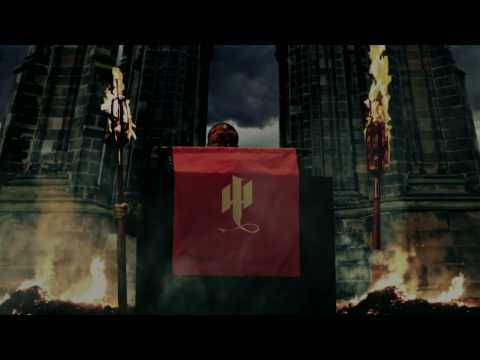 The instrumental part of the music isn´t that extreme though, and only occasionally touches old school sounding thrash and speed metal territories. 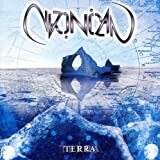 It´s mostly grounded in traditional heavy metal with hard edged riffing, melodic solos, and pounding drums, but generally featuring a slightly darker/occult atmosphere than most releases in the genre. Song titles like "Midnight at the Graveyard", "Awaiting the Exorcist", and "House of the Raining Blood" speak louder than words when it comes to the lyrical content. The vocals are relatively extreme, and is best described as a screaming yet intelligible blackened growl. The material on the 10 track, 35:44 minutes long album is well composed, but also slightly formulaic and it doesn´t take more than a couple of tracks, before you know how the rest of the album is gonna sound like. It´s not a huge issue since the album is very well produced and the musicianship is on a high level, but the lack of compositional surprises do make the album slightly less interesting than it could have been. Still there are some high quality material on the album, featuring catchy hooks and memorable riffs, and therefore a 3.5 star (70%) rating is deserved. No WITCHERY movie reviews posted yet.